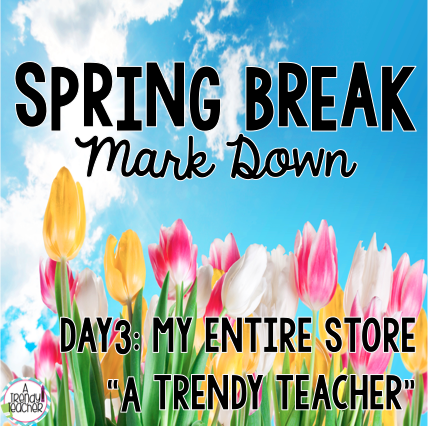 And while I'm so sad because my 12 hour sleeping schedule is coming to an end, I'm excited to bring you the last day of my Spring Break Mark Down. Today I'm marking down my entire store! That's right, EVERYTHING in my store is 20% off today only. For the remainder of the my break (3 sad days) I will be discounting my entire TeachersPayTeachers store. Want a chance to win more? Enter to win a $10 Credit to my Teachers Pay Teachers store.